Of O’Connor, Allison informs readers that he reasons that Luke’s two accounts of the ascension of Jesus are different because Luke did not think he was writing history (The Holy Land: An Oxford Archaeological Guide from Earliest Times to 1700 (4th ed., 1998)). Here is how Luke wrote of the ascension at the conclusion of his Gospel (Luke 24). The event is said to have happened on the same day Jesus was resurrected. I have also highlighted some of the places where the two accounts most obviously differ. I have covered in recent posts a few of Spong’s explanations for specific narratives as being based on a “midrashic” or literary borrowing of Old Testament texts. Does not one wonder about the relative importance of Jesus’ death and resurrection? Was not this something with which believers were meant to identify themselves and live now as citizens in the kingdom of heaven? Does not the crucifixion and resurrection scene also “scream parable” for some of us? After all, we know all the historical implausibilities associated with the trial etc, the literary borrowings, the trappings of the fantastic tied to the narrative. Is not the death and resurrection of a Son of God as much a “nature miracle” as stilling a storm or walking on water? Back to Allison. He then quotes Aus who speaks of haggidah as Spong speaks of midrash. Particularly interesting is that Aus is quoted as making a similar lament as I noted in earlier blog posts: that it was the church’s departure from its Jewish roots that led to the misinterpretation of the gospels as literal history. It is one of the tragedies of the Christian church that the number of the Palestinian Jewish members dwindled so rapidly after the very successful missionizing of the Gentiles. The latter soon made the former into small sects such as the Palestinian Ebionites. Early Palestinian and later even Hellenistic Jewish Christians, however, could have conveyed to Gentile Christians the nature of Jewish haggadah, and the centuries-old Gentile Christian debate about the “historicity” or “facticity” of haggadic sayings or narratives [in the canonical Gospels] would have been basically unnecessary. (Quoted from The Death, Burial, and Resurrection of Jesus, and the Death, Burial, and Translation of Moses in Judaic Tradition, 2008). Allison does not cite Thomas L. Thompson, but this is very much the argument expressed in The Messiah Myth: The Near Eastern Roots of Jesus and David. This book extends the discussion begun of Old Testament narratives in The Mythic Past. It is very similar to the views of Spong who learned (and adapted) them from Michael Goulder. The metaphor of the dividing of the waters at creation to bring forth new life was reiterated in the narrative of the Flood that brought new life from the death of the old, and again in the Exodus and Red Sea crossing that saw the birth of Israel as the people of God after they had been “dead” in Egypt, and again in the narrative of Joshua’s crossing the Jordan to enter the Promised Land, and again in the departure of Elijah and the initiation of Elisha, and again in the baptism of Jesus and the rending of the heavens and the arrival of the new era of salvation as foretold by the Prophets, and again in the walking on the water. One sees such reiterations again in Jesus’ healing and other miracle stories that echo the same performed by Elijah and Elisha. And so forth. Which are wholly metaphorical and which are not? Note Allison’s slipping in of that word “wholly”. This is understandable. If the nature miracles are wholly metaphorical, we hardly want to say the same of the healing miracles or else there would not be much left at all of the acts of the Gospel Jesus. But Thompson (not discussed by Allison here) sees it differently. Remove the miraculous from any of the miracle stories and you are not left with a historical event: you are only left with a ruined story robbed of its whole point. Remember Douglas Adams: If you take a cat apart to see how it works, the first thing you get is a non-working cat. Well, maybe it’s not quite the line I want, but the general idea is there somewhere. Sometimes a story just doesn’t “look as if it is reporting something that happened”, perhaps because it is overly rich in “symbolic motifs drawn from the Hebrew Bible”. Narratives may be deemed exclusively metaphorical when they stretch “the limits of the spectacular” and report “things that never happened anywhere”. Powell sees #1 as dubious but #2 as “decisive”. Why stop at the beginning of the tale, or its middle? Do the authors of the Gospels of Matthew and Luke indicate that their narratives of Jesus’ healings and exorcisms are to be understood as anything more “factual/historical” than their narratives of the virgin birth? If not, and if we find reasons to think the authors understood they were writing symbolic narratives (or narratives that originated as symbolic creations) in one, on what grounds do we justify thinking they shifted gears with the healing miracles? Do not the healing miracles in Mark “scream parable”, too? That miracle in which Jesus needed two attempts to heal the blind man is surely symbolic of the doubled efforts of Jesus to impart spiritual insight to his disciples through the double miracle of the feeding of the multitudes. There was one feeding of 5000 and another of 4000. This is not a clumsy redactional double-up. The second miracle begins with the narrator explaining that Jesus was faced “again” with a similar situation (8:1). The healing of blind Bartimaeus in response to his “seeing” who Jesus really was is surely symbolic, too. Remember Adams, or Thompson. Take away the miraculous and we are left with some pretty banal deeds of Jesus. He becomes just like any other charismatic faith-healer. Isn’t the point of the gospel narrative to show how unique Jesus was, how unlike any other charismatic faith-healer he was? If so, then are not the miraculous healings just as parabolic as the virgin birth narratives? What grounds do we have for seeing historicity in one and not the other? And then there is the greatest nature miracle of all, though it is not normally called a nature miracle – the raising of the dead. To depart again from Allison here, Spong is unequivocal. The three resurrection narratives in the gospels are “midrashic” or symbolic tales. The first is drawn from Elisha’s raising of the Shunammite woman’s son. See comparisons and discussion on my vridar.info notes. Spong observes even additional points of contact between the stories than I have listed there, such as the fact that in both cases the one requesting the healing had to travel some distance to find Elisha/Jesus who was walking that way, and that there were delays in each case before their arrival. The raising of the widow’s son is drawn from the raising of the son of the widow of Zarephath by Elijah. I will outline the points of contact here in a future post. The raising of Lazarus in John’s gospel is drawn from Luke’s parable of the Rich Man and Lazarus, and has many details that resonate the details of Jesus’ own burial and resurrection. Again, will discuss details in another post. The symbolic meaning is made explicit in John’s Gospel. The whole point of the miracle was to symbolize that Jesus is the power of life and gives (spiritual/eternal) life to all. So why stop at these three miracles? Why not follow where this argument must inevitably lead — to the cross and empty tomb of Jesus himself? We don’t have angels singing at the moment of a virgin birth, but we do have the sun going black at noon at the time of a full moon, the tearing of the temple veil from top to bottom, in Matthew even the earthquake and zombies (saintly ones) climbing out of their graves and terrorizing (unintentionally) the city by walking through its streets. We have all the details cut and paste from Psalms and Isaiah. And a fundamental point of the crucifixion was the same as the deaths of Jairus’ daughter, the widow of Nain’s son and of Lazarus, and that was to demonstrate the power of Jesus over death be restoring to life. Surely by any standard that is as much a “nature miracle” as a virgin birth! I agree with where the thoughts of Borg, Crossan, Spong et al are going. I am reminded of my days discussing the Bible doctrine with some mainstream Church of Christ ministers or preachers and such after I left a fundamentalist religious cult. I recall telling them that I had learned to question so much, and I was sharing my questions with them, but I assured them that one thing I would never question was that the Bible was the word of God. Something must have happened along the way that made me ask myself why I was willing to question so much but then to stop at that point. Later I found others who questioned as much as I had, but they had stopped short of questioning God, too. That was the last line where questioning stopped. If we have valid reasons for understanding that the gospel authors understood knew they were writing symbolic narratives about the birth of Jesus, why we do stop at his death and resurrection? That’s a misleading question. 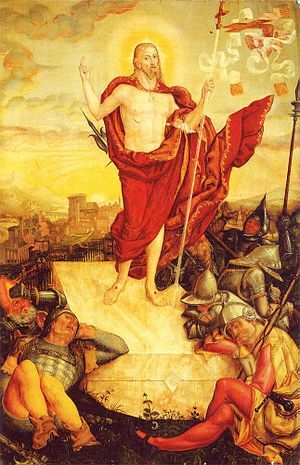 Many do understand the resurrection as a symbolic narrative. But that only leaves that death bit of the equation screaming “parable” all the more loudly for being the only bit missed out. Posted on 2011-02-01 17:58:45 GMT+0000 by Neil Godfrey. This entry was posted in Bible as literature, Biblical Studies, Book Reviews & Notes, Jesus and tagged Allison: Constructing Jesus, Dale Allison, Jerome Murphy O'Connor, John Dominic Crossan, John Shelby Spong, Marcus Borg, Resurrection of Jesus. Bookmark the permalink. No, that actually happened. Who would make up a story where the Son of God couldn’t return a man’s sight at the first attempt? It makes no sense. Matthew got rid of it, so that proves it actually happened. The embarrassment criterion triumphs again! This slippery slope argument – that if you remove the nature miracles you will end up removing the resurrection of Jesus – was brilliantly refuted by Mark Goodacre, when he pointed out that if you question Jesus, you will be questioning Caesar. That is why the questioning has to stop somewhere, and the accepting has to begin. That is how history is done – by declaring some questions out of bounds. Physicists might question how many dimensions the universe has, even though everybody knows there are only three, but historians cannot question the historicity of a crucifixion that nobody actually present at the scene ever wrote about. I wonder why we are allowed to wonder if the universe has 11 dimensions, but are not allowed to wonder if Pilate really did have Jesus of Nazareth crucified, as reported in a book that talks about posssessed pigs. Sometimes I read someone objecting that no history books begin with a detailed explanation of how we know someone in ancient times existed. Such people have not read widely. I have read several histories of Alexander and Roman imperial figures that begin with pages explaining just that – what we can know, and how we can know things, from the primary evidence and secondary, including the facts of their existence. It sounds as if Mark Goodacre is suggesting there is something inherently foolish in asking how we can know if Julius Caesar existed. It is in fact a very good question and I suspect that an undergrad student who asked such a question would NOT be treated with derision and laughter from a professor. I would expect a professor to be able to rattle off from the top of his head all the primary and independently attested evidence in such a way that the student will feel satisfied with the answer. Perhaps the professor might even take the question as a positive sign of a mind not willing to take anything for granted. It’s how evolutionary scientists write books and webposts answering head on direct questions by creationists. All the likes of McGrath and Gibson can do is react viscerally and reply with word-game evasions and non-sequiturs delivered with a sprinkling of intellectual bullying. Neil, your emphasis is generally on the scholarly community. However, this post reminds of an exercise I participated in many years ago during a church bible study session. The leader had a line taped on the floor with markings graduated from “strongly literal” to “strongly metaphorical”. She would read a passage from the bible and ask us to stand on the line according to how we would interpret the passage. Several tended to favor the “literal” end while others chose a more metaphorical approach. The two most metaphorical proponents were myself and another friend. I remember one time this friend showed me a book she was enjoying reading about a -*gasp* – favorite author of some modern “heretics”. At the time she felt inclined to show me the book under the table, out of sight from the other study group participants. I, OTOH, was more inclined to openly start fires (no, not literally *ahem*). I later left the church and organized mainstream religion. She stayed. Anyway, although hardly a scientific sampling (lol), the exercise was interesting to me in many ways, particularly regarding those who tended to be more metaphorically inclined. Most of the group participants would join ranks when it came to passages about death and resurrection, well except for the gal I mentioned previously and myself. We were boringly resolute in our metaphorical stance. Regardless of interpretation choices for other passages, the others tended to not just favor, but almost demand a literal belief in a man Jesus’s death and his resurrection. It might prove interesting if one could read stories from one culture to audiences of another and compare the reactions. Read those Bible stories to, say, Chinese Taoists or Buddhists who have scarcely heard anything of such narratives; and read some stories from Buddhism or Hinduism to western Christians who are as uninformed about those. Interjecting a silly note in a serious thread: I once had a dream in which three missionaries – a unitarian Jehovah’s Witness, a trinitarian adventist and a polytheistic Mormon were locked in a wired-up room to settle their disagreements over a Bible. Didn’t Michael Turton perform a similar experiment when he worked as an instructor for English in the far East? I too remember going through layers of “Willing to Doubt” while exiting Christianity. That is why the exit took 2 years — probably a very common phenomena. Remember a couple of times a new plateau that I reached was because of the chance encounter with someone posing a pertinent (usually discomforting) question or making an observation about a belief system that I had never stopped to seriously think about before. So much of where we are at seems to hang so much on the contacts we encounter. But I suppose that the world we interact with also depends so much on each individual’s personal makeup. I’d like to think that most times if and when I do find myself being judgmental of others I usually feel some self-reproach for failing to remember this.